Addiction is one of the greatest challenges a marriage can face, so it’s no surprise that addiction and divorce often go hand-in-hand. Substance abuse causes the individual to act irrationally and irresponsibly. If you’re married to an addict, your spouse may engage in uncharacteristic behaviors like lying, cheating, stealing, becoming physically or verbally abusive, spending the family’s money on drugs, and endangering you or your children with reckless behavior. For the non-addicted spouse, the solution often seems simple: Just stop using. You may tell your spouse, “If you really loved me, you would stop.” But your spouse’s inability to stop isn’t a symptom of diminished love for you. It’s a sign of the progression of your spouse’s illness. So is there anything you can do to safeguard against divorce? Let’s take a look. According to the National Survey on Drug Use and Health, approximately 24.6 million Americans are in a marriage in which one spouse struggles with substance abuse. Studies at the University of California and Chapman University found that the amount of marriages taking place is roughly the same between addicts and non-users. However, the divorce rate is four times higher among drug and alcohol users. Similarly, researchers from the University of Michigan compared divorce rates among those affected by alcoholism to divorce rates among individuals with no significant alcohol-related issues. These comparisons were made using a national study called the National Epidemiologic Survey on Alcohol and Related Conditions. The study was conducted in two waves occurring three years apart. Of the 17,192 participants in the study, 48.3% of those with alcohol use disorder experienced a divorce at some point, compared to only 30% of those unaffected by alcohol use disorder. Between the first and second waves of the study, 15.5% of participants struggling with alcoholism divorced, while only 4.5% of unaffected participants divorced during this time period. It’s clear that addiction significantly increases the risk of divorce, but what can you do about it? When an addict is enabled by his or her loved ones, it’s easy to continue abusing drugs or alcohol without ever experiencing severe consequences. Enabling your spouse could mean caring for them when addiction makes them sick, calling their job to make excuses, continuing to give them money, and even allowing them to live in the family home with all basic necessities provided. If your spouse never gets to feel the consequences of his or her addiction, seeking help won’t seem necessary. As difficult as it may be, stop taking care of and covering for your spouse so that these consequences can be experienced. If you’re ready to divorce in the event that your spouse doesn’t seek help, share this with them, but be sure to have the conversation when your spouse is sober. Explain how the addiction has affected you and your children, and state that you’ll seek a divorce if your spouse doesn’t try to get better. The reality is that if no action is taken, addiction only continues in a downward spiral. 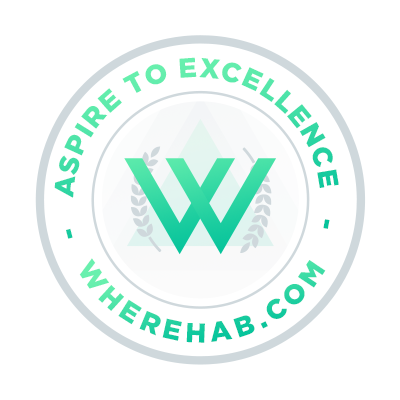 Find a therapist who specializes in addiction and recovery. It’s best if you and your spouse can go together to address any issues in your marriage, find healthier ways to communicate, and attempt to tackle your spouse’s struggle with substance abuse. Therapy for the addict alone often does little to repair dysfunctional systems. If your spouse isn’t willing to go to therapy, it’s still a good idea for you to seek counseling. Being married to an addict is an emotionally draining and difficult experience, and a therapist can help you work through it. You may also try journaling your emotions as a therapeutic practice, as well as to avoid constantly venting to your spouse and causing arguments that lead nowhere. An intervention may be necessary if your spouse won’t agree to get help. Gather close friends and family members and plan when and where you’ll conduct the intervention. Each loved one should also plan exactly what they will say. The focus isn’t on blaming the addict, but on pointing out how his loved ones have been impacted by his behavior, and explaining that there is a solution. The addict should also be made aware that there’s a firm support system in his or her corner. Loved ones present at the intervention should each offer help, such as a willingness to attend therapy sessions or support group meetings. Boundaries should also be established. Each individual should list consequences in the case that your spouse refuses help. If your spouse agrees to seek help, have a rehab facility or treatment center ready to go. It’s best to act immediately, before your spouse has time for a change of heart. Be as supportive as possible during your spouse’s recovery journey, and continue to seek therapy for yourself as well. On the other hand, if your spouse continues to refuse treatment or deny that there’s a problem, you may need to make the difficult choice to seek a divorce. Through marriage, you’re legally bound to your spouse and any decisions he or she makes, which is a precarious position to be in with an addict. You must ultimately do what’s best for yourself, and especially for any children that may be involved. Addiction can have a crippling emotional impact on the addict’s loved ones. Do your best to safeguard against divorce by refusing to enable your spouse, seeking therapy, and potentially staging an intervention and finding a rehab facility. But if your best efforts don’t produce results, you must take the action that’s best for you. If you need more information please call one of our addiction specialists at 1-888-249-2590 or click here.